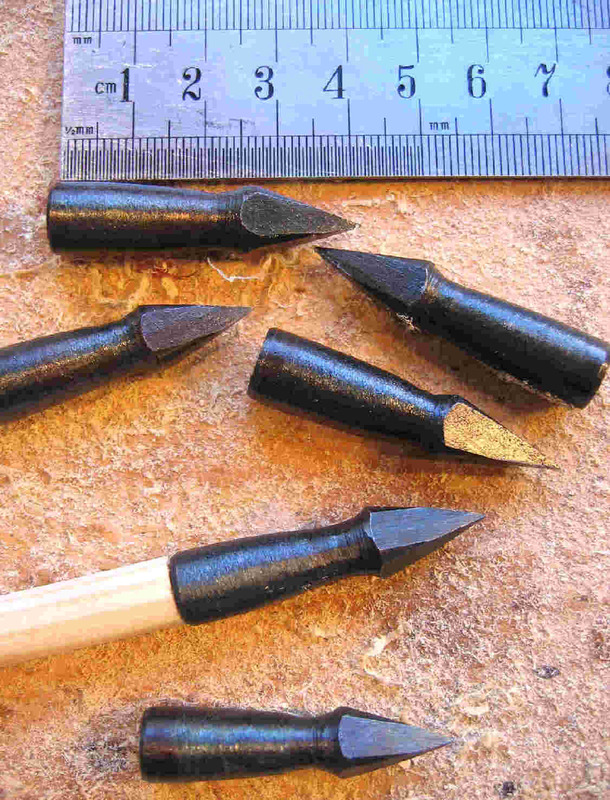 Affordable Bodkins, 4 faced point, based on armour piercing type, wide taper socket, ONE SIZE ONLY they will over fit 5/16 -11/32 shafts or they will make a flush fit on 3/8 or 23/64 (23/64 shaft is shown in picture) pine Re-Enactment shafts, Boyton Pine, available from us. 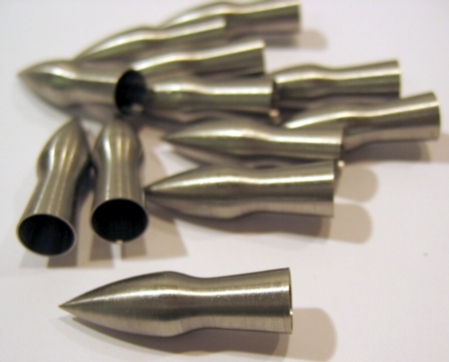 Affordable Bodkins, 4 faced point, based on armour piercing type, wide taper socket with a 1/2" (12mm) approx opening, ideal for 1/2" battle shafts. Approx 1 1/2" long and about 200grains in weight. 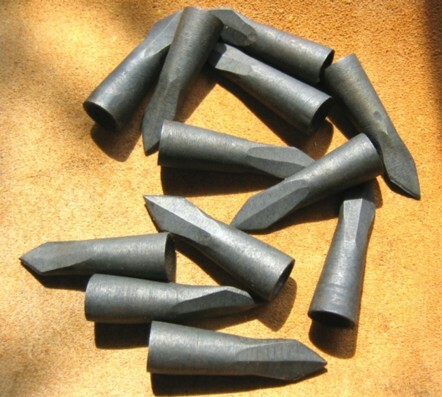 These steel piles are similar to the target Pile in use during the Medieval period for target practice (they are similar to `type 5` Medieval head) Suit 3/8 shafts approx, they are 1 3/4" long approx, taper fit socket, 100 grains approx each in weight. 5/16" 40grains steel Victorian Style, taper, help avoid bouncers!